The Entry Level Server Resume Template gives a clear guideline to writing a resume for those seeking a position as a server while having little to no experience. 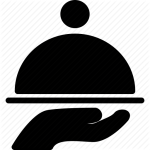 Entry level servers or those who have been in the field for only around a year or less will face some heavy competition when seeking a new opportunity and may face some challenges. 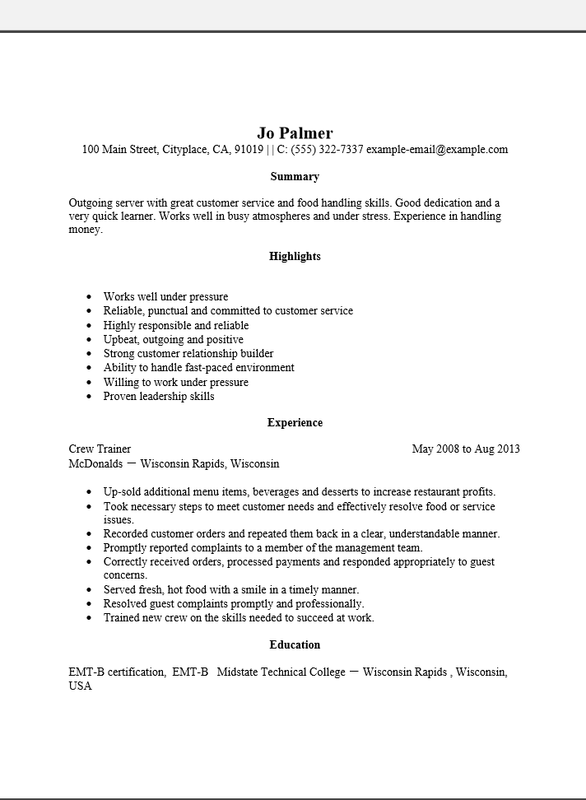 Some of which may be easily remedied by utilizing a resume template. 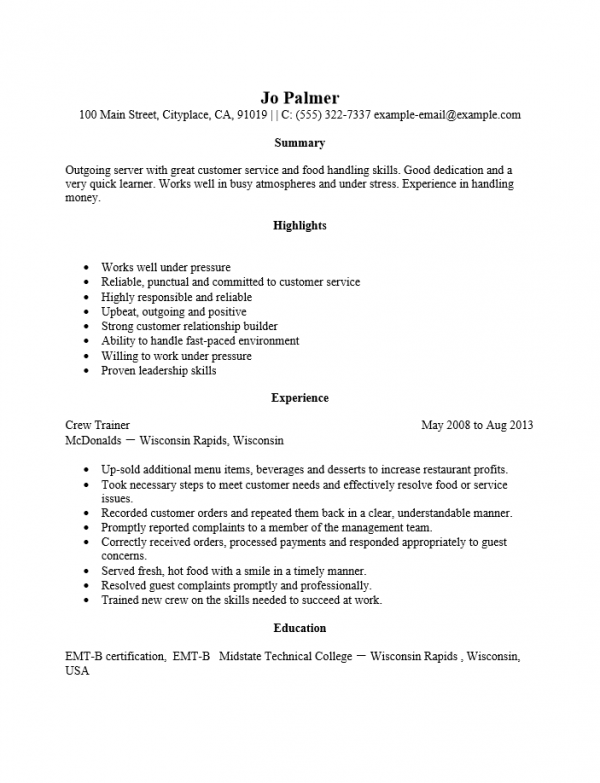 A resume template gives job seekers a good idea of how to present themselves by containing some predefined headings. These can be altered at the user’s discretion however one should keep in mind that a hiring entity will expect a professional format. Once all the sections of this template has been filled out the job seeker may then use it as a source of content should they wish to revise it for the sake of a new opportunity. Users may simply copy any sections that will remain unaltered from the original document then paste it to a blank template. Following this he or she may then input the revised content in the remaining sections or enter the content directly. Thus a resume template can be quite a time saving tool which enables a beginner server to deliver a well presented resume to a potential employer soon after seeing an opportunity. In an industry where speed and efficiency are valued, this can be quite impressive. Step 1. Place your full name and contact information at the top of the page. Step 2. Input several statements (2-5) regarding any or all of the following: your intention to get hired, your professional identity, and/or what you bring to the table. Step 3. Input a list of your skills or positive attributes that directly relate to the position under the “Highlights” section. Step 4. List your previous employers in the “Experience” section. Give your job title, the name and location of the employer along with the starting and ending date for the time you spent there. Describe your duties below this in a bullet list format. Step 5. In the “Education” section, list the degrees or certificates you earned, the school you attended and the dates you graduated.